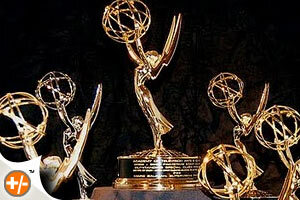 2010 Emmy Award Predictions & Vegas Betting Odds “And the Nominees are.” - For outstanding lead actor in comedy series: Jim Parsons/ Sheldon Cooper from The Big Bang Theory, Tony Shalhoub as Adrian Monk from Universal Cable Productions Monk, Alec Baldwin as Jack Donaghy from NBC’s 30 Rock. Other players but, not contenders are Larry David as himself in Curb Your Enthusiasm, Mathew Morrison as Will Schuester from best comedy series nominee Glee, and Steve Carrell (Michael Scott) from The Office . .
Each actor has viable strength and each is in his own category. Fighting for lead position is none other than the good old Alec Baldwin. It appears that today’s comedians have to be pompous and completely arrogant. Donaghy takes that personality right to the bank. His stereotypical out crops and his ease in doing them has everyone laughing at the possibilities. This comedy show and its writers fit Baldwin to a tee leaving him 3/1 odds of being the Award winner. Office star Steve Carrell is funny, but lacks the ability to keep the audience engaged. It appears that people want modern comedy to relate to their feelings . In the office we all know somebody who acts like Michael Scott. None of us ever want to talk to him/her and that leaves us with the same feeling when it comes to nominating him. Not so warm and fuzzy inside. Curb Your Enthusiasm Larry David, what a great guy and his show has held its own for more than 10 years with highs and lows. The truth is, he has captured the audience’s attention but not enough to capture the lead. Mathew Morrison (Glee) I don’t even understand why he’s a nominee. His co-star Jane Lynch had a better shot at this award. Although the show has got a strong chance of taking Best Comedy Series. I don’t believe that we’ll see Will Schuester taking the stage for outstanding lead actor in comedy series.